Make a donation to the Verona Fire Department and help us to continue helping our community! On October 9, 2017, full-time Firefighter/Inspector Kevin Hendrickson was promoted to full-time Lieutenant/Inspector for the Verona Fire Department to fill the vacancy when Deputy Chief Machotka was promoted. Hendrickson started with the Verona Fire Department on December 15, 2010, as a Paid-On-Premise Firefighter. 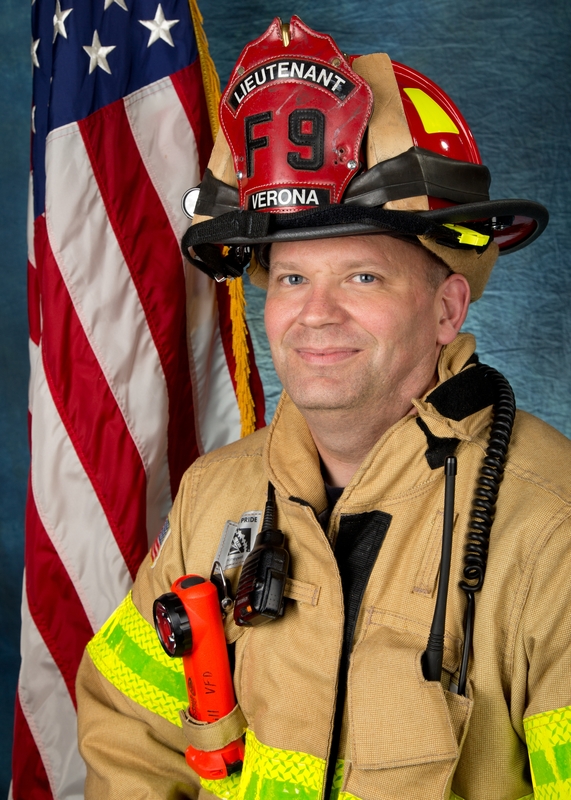 He was promoted to part-time Training Captain on December 12, 2011, and then on February 18, 2013, Hendrickson accepted a full-time Firefighter/Inspector position with the Department. Lieutenant Hendrickson also serves on the New Glarus Fire Department. Congratulations Lieutenant Hendrickson.